Dormeo S Plus Memory Foam Mattress, Single is rated 4.0 out of 5 by 8. A mattress first - completely customisable personalised sleep. 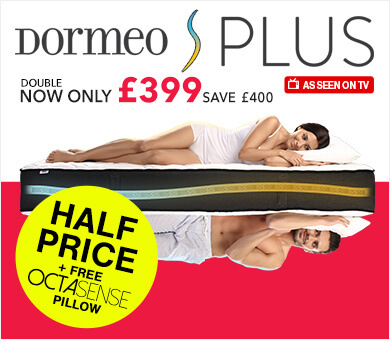 For the perfect night's sleep for you and your partner! "The idea is absolute genius. 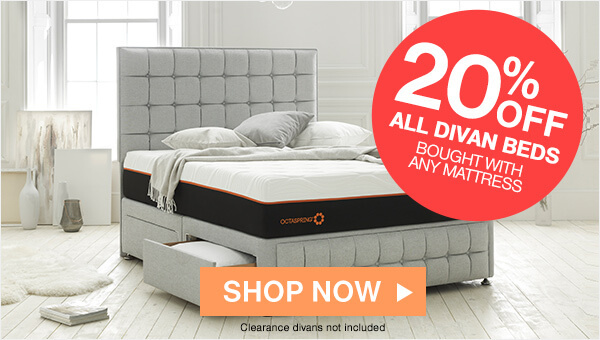 If you and your partner have been locked in battle over the perfect mattress, I would definitely recommend that you give it a go." 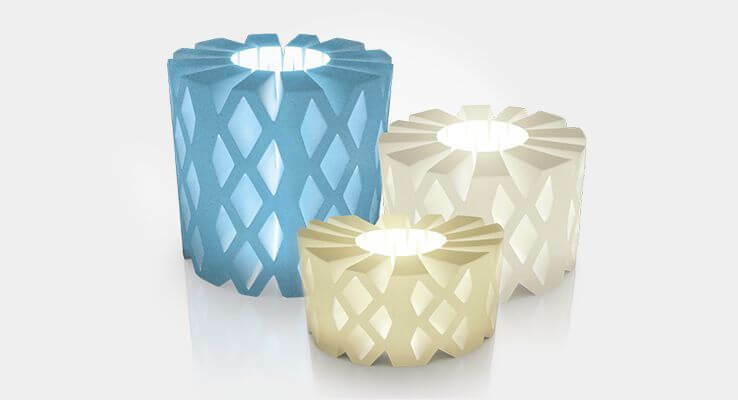 Smartly connected cores can be quickly and easily interchanged independently of one another offering a risk-free choice for couples with different sleeping preferences. The specially designed Climalite silver cover wicks away moisture keeping the mattress fresh, and keeping you cool and dry thoughout the night. 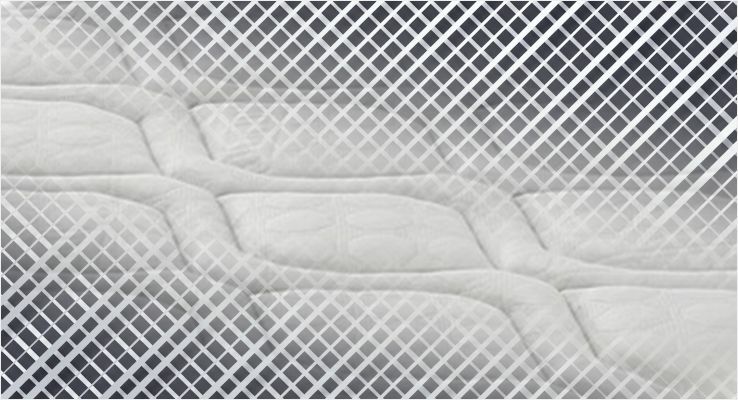 Flippable mattress core allows you to choose the softer of firmer side to enjoy your perfect comfort. 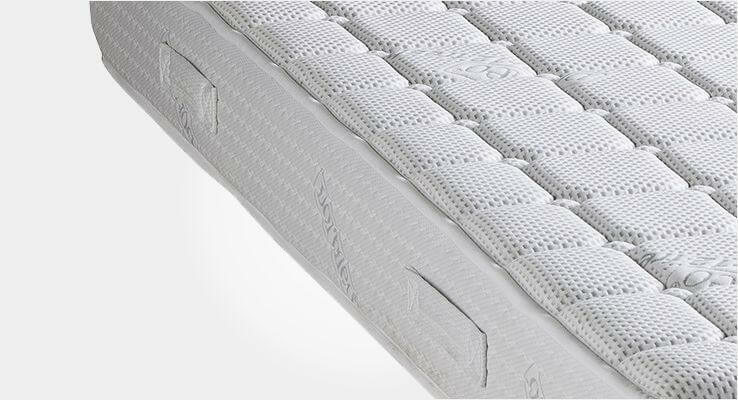 Customisable cores provide partners with their own personalised comfort on both sides of the mattress. 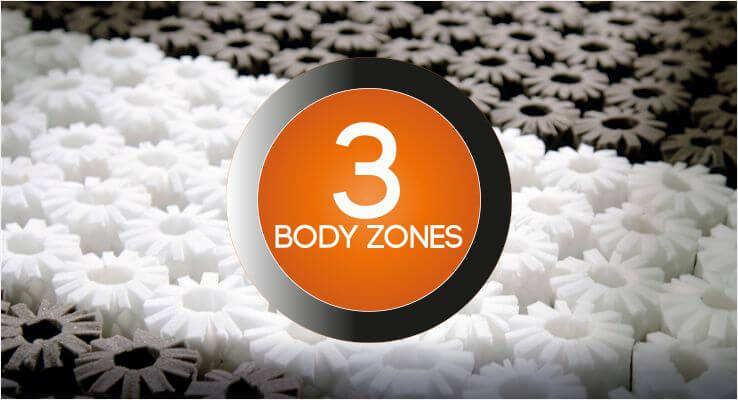 Inspired by the human body, an S-shaped layer of Octasprings running through heart of mattress provides customisable support for your head/shoulders or hips/legs. Rotate the mattress to feel the difference..
No matter your preferences or how you sleep, the S Plus mattress can provide both individual sleepers and partners with their own great night’s sleep. Inspired by the human body and the natural S-Shape of the spine, the S-Plus mattress is designed to provide unparalleled sleep comfort thanks to the innovative layer of Octaspring technology running through the heart of the mattress. Based on 15 years of collaboration with engineers and research on the needs of more than 8 million customers, the result, the S Plus has been designed to be the first 100% personalised mattress offering over 30 comfort combinations*. The smartly connected cores, personal to each side of the mattress, can be quickly and easily interchanged independently of one another making the S Plus the risk-free choice for couples with different sleeping preferences. 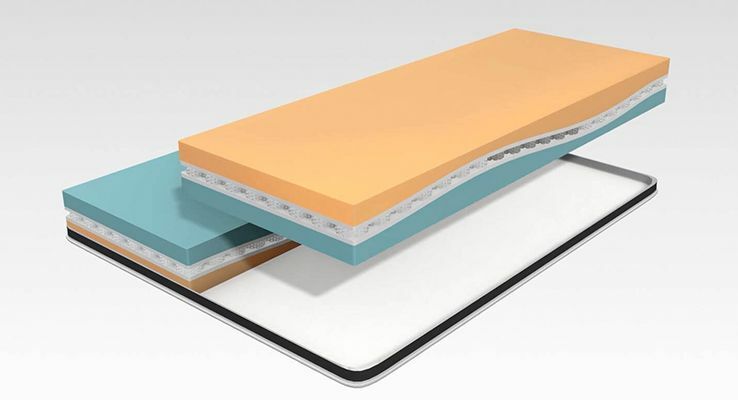 Simply unzip the cover and flip your side of the mattress to choose between two between two unique Ecocell® foam densities. Either the softer side normally suited for side sleelpers, or the firmer side often preferred by back sleepers. Rotate your mattress core head to toe to find your preferred side of the unique S-shaped Octaspring® layer. 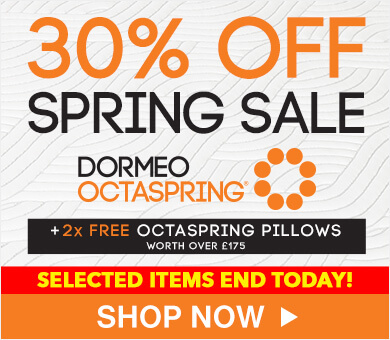 Have the Octasprings closer to your neck and shoulders for more adaptability and more bounce, or simply rotate the mattress horizontally adding distance between the Octaspring layer and your neck and shoulders for more solid support under your shoulders. The Octaspring® is a next generation, patented sleep technology, which delivers up to 8x greater ventilation compared to traditional foam, offering a cooler, fresher night’s sleep, while providing incredible comfort and support. 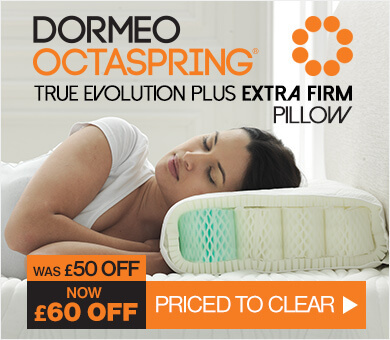 Whilst the unique Octaspring® technology offers unrivalled breathability, the individual Octaspring® springs are arranged in different firmness levels, which create customised body support zones that are beneficial to correct spinal alignment for a better night’s sleep. Our uniquely breathable Ecocell® foam – the Dormeo® difference, encases the unique Octaspring® tube technology. 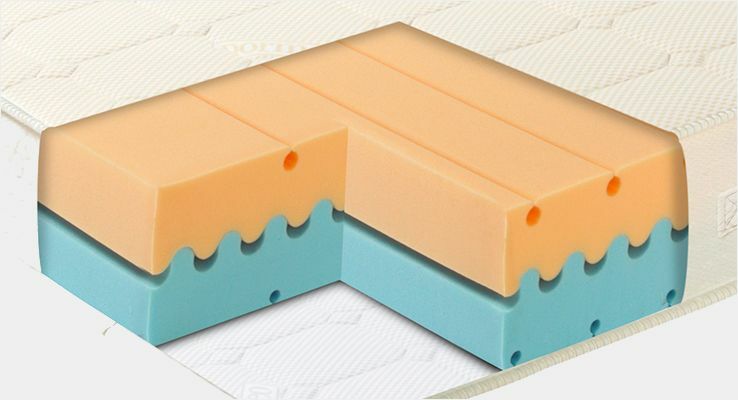 Ecocell® is a next generation foam designed to be permanently elastic with a 3-dimensional cellular structure, providing efficient air circulation and support where you need it. A luxurious quick drying Climalite Silver cover tops off the S Plus, wicking away moisture to keep the mattress fresh, whilst the Clean Effect treatment delivers anti-bacterial, anti-dust mite and anti-static protection. The cover is also completely removeable and washable. 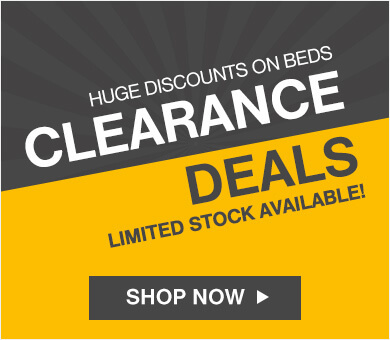 *Single mattress contains one configurable core and therefore offers less comfort combinations. Rated 5 out of 5 by Diana W from Finally - a solution! One very happy couple! Love my new bed, well my side anyway. Finally a mattress that my husband and I can agree on. We both get to sleep on a mattress that suits both our preferences, without forcing us to sleep in separate beds. Pure genius from Dormeo. It's so comfortable too, keeps us cool thanks to it's built in 'cooling springs,' - what's not to love. Delivery was on time, as promised and free pillow is far better than I expected a 'freebie' to be! Highly recommend. Tip: Recap using the online video to help understand how the mattress cores can be customised - saved us both a bit of time. Rated 5 out of 5 by Rich_87 from Best sleep in years! I very recently bought this mattress after having to put up with my wife's need for a ridiculously firm mattress. Now that we can switch either side to suit our individual comfort needs we both end up having a great night's sleep. Just need to get her to stop putting her leg over MY side now! Rated 5 out of 5 by Rocky64 from Fantastic mattress, great sleeping solution This mattress has made a huge difference to my partner and I's sleep. 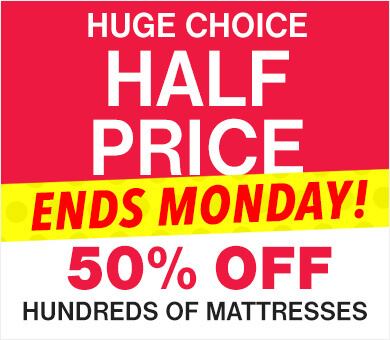 It really is great as you can have a firm and soft side, to the mattress, which means you get the comfort you want. 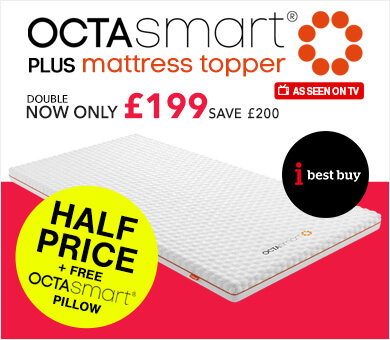 My wife likes a firmer mattress, I prefer a softer version and when I saw the TV ad it was the perfect sleep solution. Rated 1 out of 5 by Caroline_309 from Would not recommend I bought this mattress a month ago and have tried it in all of the positions but continue to wake up with a sore back, hips and shoulders. Not had a good night's sleep since I bought it. Its going to cost a fortune to return so looks like I am stuck with the mattress. I would not recommend. Customer service was helpful when the mattress arrived but no pillow. 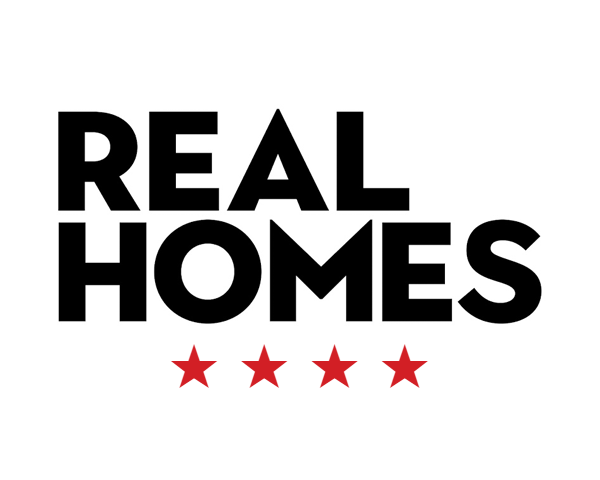 They rectified the problem with no issues and the lady was friendly. Rated 5 out of 5 by Helen from Fabulous mattress!! My new mattress is amazing!!! I was a bit sceptical buying a mattress online that I hadn’t been able to try out but this site allows you to return within 60 days so I thought I’d give it a go, and I’m so glad I did. The mattress came a couple of weeks ago and at first I thought it was going to be too firm for me and I wasn’t too sure. But after the first night sleeping on it, I couldn’t believe how comfy it is. I have the best nights sleep now and I would highly recommend this mattress. Try the S Plus mattress in the comfort of your own home with our unique 60 night comfort guarantee. If you aren't getting the best night's sleep you've ever experienced, just return it to us within 60 nights of delivery and we'll refund your full purchase price completely free with no cost of return. Simply give our Sleep Experts a call and they will arange collection absolutely free!